Welcome to the Caravan Talk Reviews section. This is where Caravan Talk members can submit reviews of their current (or previous) caravans and tow cars, and share their feedback with the entire Caravan Talk community. 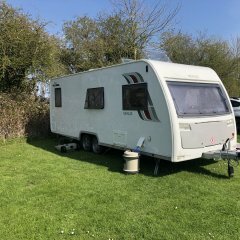 Caravanners looking to buy a caravan or a tow car can use the feedback here to assist with their decision making. To add your own thoughts on your tow car or caravan, just sign in to your Caravan Talk account (or you can create one in next to no time), select the manufacturer of the caravan or tow car that you would like to review, and click on the green ‘Add Towcar review’ or ‘Add Caravan review’ button. As well as rating each category out of 5, you can include as much written detail and as many photos as you like.